A recent change to OpenSim variants of virtual worlds viewers (such as Firestorm, Singularity and Kokua) means that the “4096 Bug” is now fixed. The 4096 bug meant that OpenSim avatars could only hop between regions on a grid or across hypergrids that were less than 4096X4096 regions apart previously. Grids that have a configuration that allows the new larger default (of 16K X 16K to be safe) when used with the new viewers will allow people to jump further without using intermediate “hop” regions that are placed at intervals along the way. This has been a problem for new users, and time consuming for everyone. Some avatars have done trial jumps of over one million regions in testing. 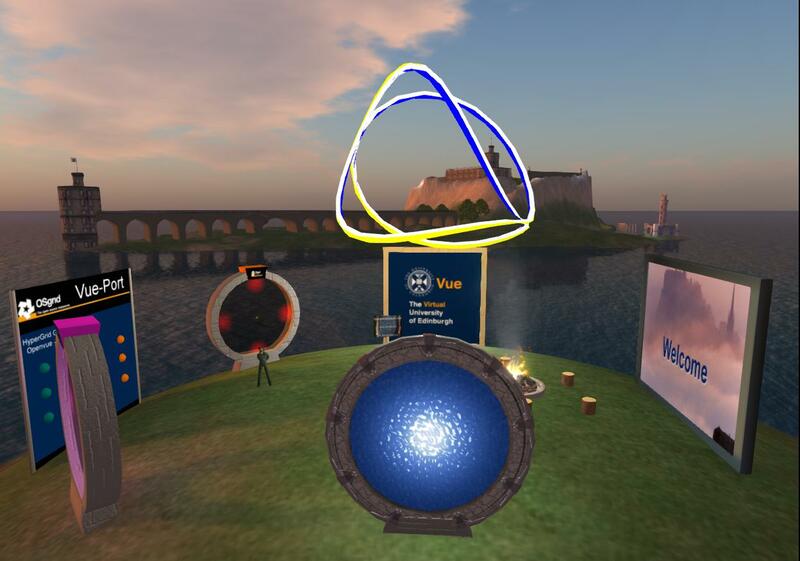 The previous intermediate hypergrid jump regions of Vue-5000 and Vue-9000 on Openvue grid and Vue-3200 and Vue-6400 on OSGrid are therefore no longer going to be needed. To prepare for this a “Vue-Port” region now exists on both Openvue grid (near 9000,9000) and on OSGrid (near 6400,6400) which will act as a hypergrid portal for Openvue users and for movement between Openvue and OSGrid. This entry was posted in OpenSim, OpenVCE and tagged HyperGrid, OpenSim, OpenVCE, Openvue. Bookmark the permalink.